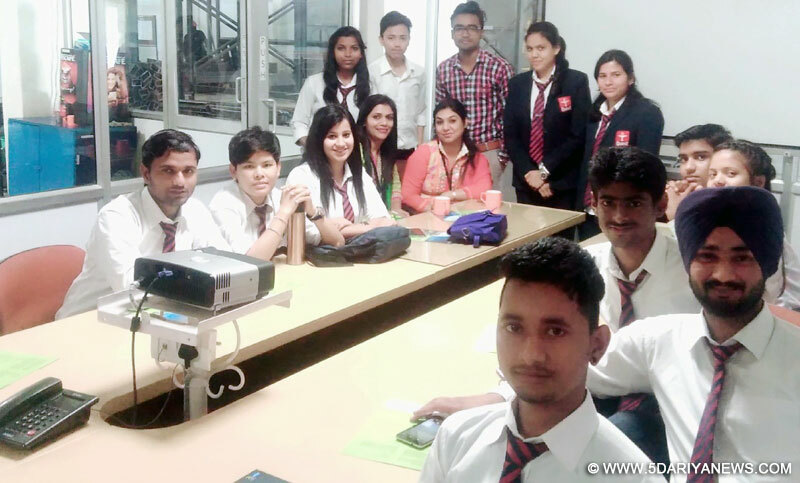 Quest Group of Institute organised industrial visit for ECE students on AUTOMATION to COATEC INDIA .The main objectives of this Industrial visit was to get overview about automation and to know about basic elements involved in the automation process & different technologies available for the automation. Students were also explained about how automation works in the domestic and industrial spheres & how communication has helped in the process of automation. Besides this, presentation was also conducted for equipping the students with the knowledge integrating various control systems like temperature, pressure, lights, alarm etc. They were further informed them about the use application technologies like Supervisory Control and Data Acquisition , Distributed Control System, Computer Numerical Control & about various CNC Profile Cutting Technologies like Plasma Cutting, Water Jet Cutting and Oxy Fuel Cutting. Later, students also interacted with the Production Head to know about the working environment and different methodologies for project management.While motivating the students D.S.Sekhon, Chairman of the institute said that such visits are paramount important for engineering students .He Motivated and inspired the students to work hard and excel in their desired field.